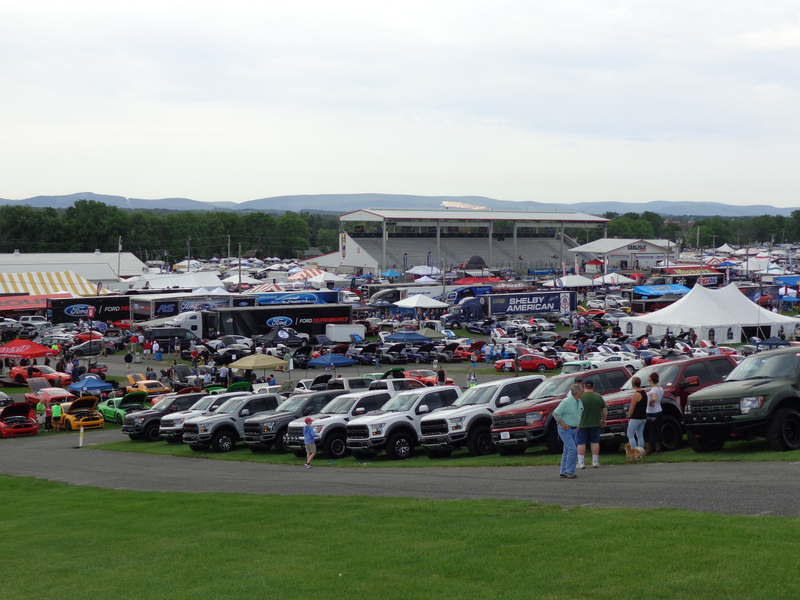 The Carlisle Ford Nationals was held this past weekend in (where else?) Carlisle, PA. 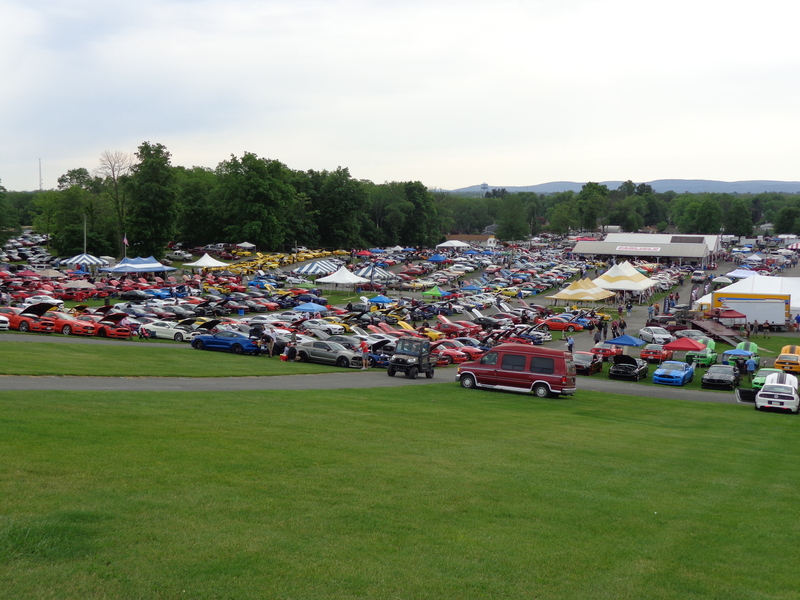 This is one of the largest annual gatherings of Ford Motor Company produced vehicles held in the US. This year there were over 3,000 Ford products in attendance including three cars from your NE Georgia Mustang Club. Richard & Shirley Rider, Steve & Jan Harrison and Rick and Georgianna Schmidt made the two day drive to attend this year’s event and what an event it was, there was everything available for viewing from Model T’s to Ford GT’s and everything in between! 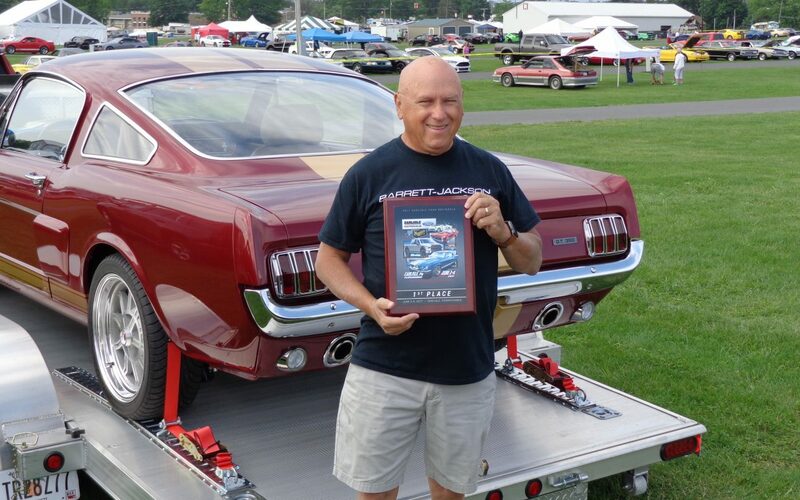 Steve and Jan came away with the only award for our group winning First Place in the 1966 Modified Mustang Category – Congratulations! A BRIEF REVIEW OF 2017 Great Weather and Over 3,000 Fords Power the Annual June Weekend In a year set to celebrate Ford Trucks, the Lincoln, Edsel, GT500 and more, it was the Ford GT that stole the show in 2017. Two parade laps, combined with over a dozen of Ford’s Super Car wowed attendees throughout the weekend. Further, with a National Parts Depot show field of over 3,000 cars and trucks and another 50,000+ guests, the 2017 Ford Nationals, presented by Meguiar’s, was a smashing success. From on-site installs to product walk arounds, test drives and industry experts, the weekend had it all. In addition to the cars on grounds, 300+ more rolled off Saturday night and took to the streets of downtown Carlisle for the annual Ford Parade and Street Party, presented by the Downtown Carlisle Association. The weekend also featured burnouts, beauty, seminars and even a $2,000 Ford Performance parts giveaway which was awarded Saturday afternoon. The show was an undeniable success in all facets of the event. Save the date, because the fun comes back at you June 1-3, 2018. 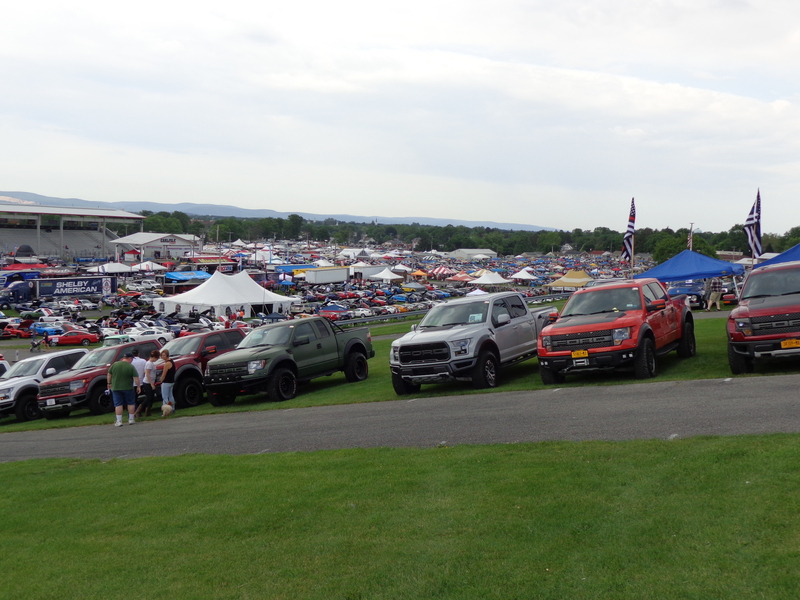 Here are a few pictures taken from a small hill at the Carlisle Event site, I tried to create a panoramic view to give you a sense of the show because in addition to the car show there was a huge swap meet and car corral area to explore….This show should be on everyone’s bucket list!